Going into 2012 LG Display are one of the world’s leading LCD monitor panel manufacturers. They provide pretty much all of the consumer-grade IPS (In-Plane Switching) panels used by manufacturers such as Apple, Dell, NEC and HP and of course LG themselves. Up until recently this was a pretty closed-off market with no real competition from LG Display’s main rival, Samsung Electronics. Samsung did shake up the marketplace a little late last year with its recent introduction of PLS (Plane to Line Switching) and also have a near-future PLS model in the pipeline, but this technology is currently vendor-restricted to Samsung themselves. Some recent information has shed light on LG Display’s ambitious and extensive panel line-up for 2012. A number of interesting trends have emerged from this information. There is mention of a ‘new type’ of IPS technology dubbed ‘AH-IPS’, which supposedly stands for ‘Advanced High Performance In-Plane Switching’. These panels will come in 21.5”, 23”, 24”, 27” and 30” sizes. 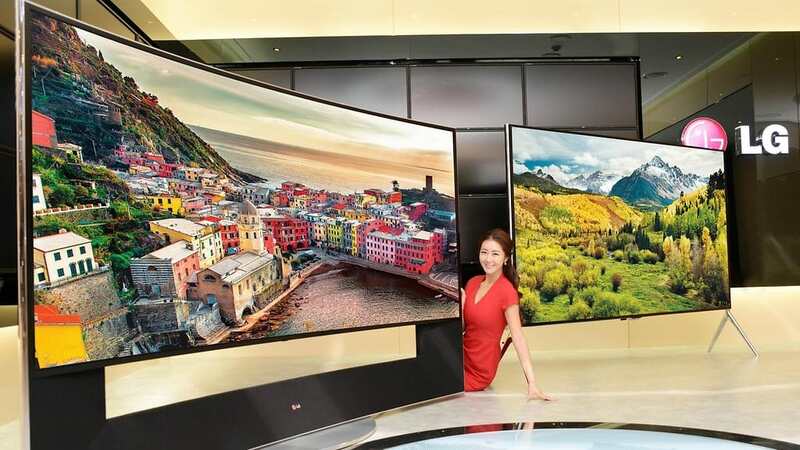 This is interesting because ‘AH-IPS’ technology was recently introduced to the mobile market (Smartphones and Tablet PCs) to create more efficient displays with higher pixel densities. The pixel densities seem unchanged for this year’s panels and are much as you would expect – with the 21.5” and 23” panels featuring a 1920 x 1080 (Full HD) resolution, the 24” panels featuring a 1920 x 1200 resolution, the 27” panel featuring a 2560 x 1440 (WQHD) resolution and the 30” panel featuring a 2560 x 1600 (WQXGA) resolution. All of LG’s new panels use (or will use) W-LED backlighting – it seems LG has joined many other manufacturers by phasing out the less efficient CCFL backlights. This makes sense from an environmental and efficiency perspective but there are some people who find viewing CCFLs more comfortable. A particular peculiarity arises from the presence of two 24” ‘LM240WU9’ AH-IPS panels – one with sRGB (standard colour gamut) coverage and the other with Adobe RGB (wide colour gamut) coverage. The 27” ‘LM270WQ3’ and 30” ‘LM300WQ6’ also have a specified Adobe RGB colour space. This would be the first time that white light emitting diodes have been used in a monitor to produce extended colour spaces and is certainly an interesting development. But what does all of this mean for the consumer? It means that in the near future we can expect a range of new IPS models, in various sizes, using LG panels. According to proposed mass production dates and previous launches it is highly likely that Dell will make use of the upcoming 24”, 27” and 30” panels to bring us new versions of iconic monitors released in 2009-10 that didn’t see a 2011 refresh. The Dell U2410, U2711 and U3011 are due an overhaul and this could well be the year we see it. Dell and other monitor manufacturers will of course have access to the panels well before ‘mass production’ and with their current facilities can usually start producing good volume shipments a month or two after the panels enter mass production. Given their usual late summer or early autumn release schedule this is a distinct possibility. What will be particularly interesting to many people (not least ourselves) is whether LG Display has taken on board any of the criticism regarding their use of overly ‘aggressive’ high-haze value screen surfaces. We spent a good deal of time communicating with various engineers, managers and representatives at LG and Dell about this last year as a precursor to this article so it would be nice to see some positive change in this respect.